A variety of parcels of land totaling 52+- acres. 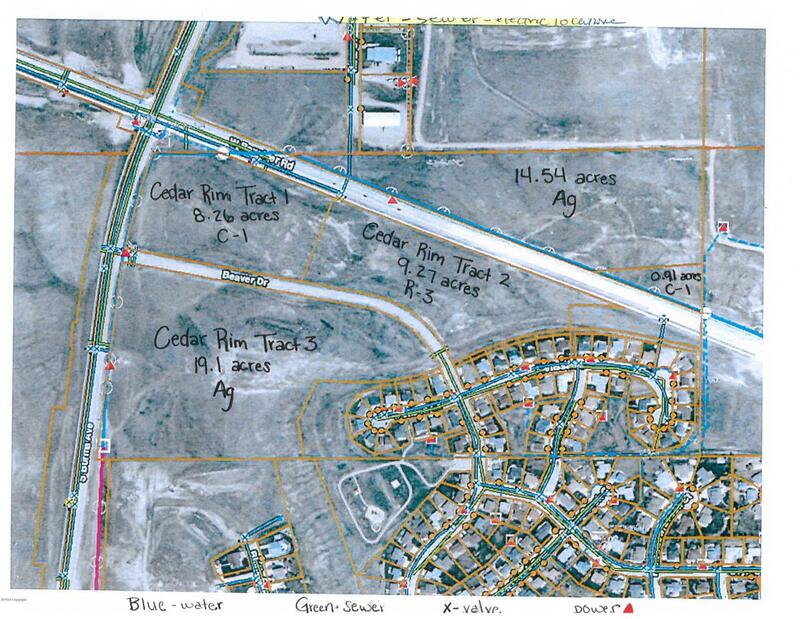 Cedar Rim Tract 1 is 8.26 acres located between Boxelder and Beaver on Burma zoned C-1. Cedar Rim Tract 2 is 9.37 acres located between Boxelder and Beaver and east of Tract 1 zoned R-3. Cedar Rim Tract 3 is 19.10 acres south of Beaver Drive on Burma Road zoned Ag. All Cedar Rim tracts are in city limits. There is also 14.54 acres county land zoned Ag and .91 acres zoned R-1 within city limits on the north side of Boxelder Road. All parcels are available individually.